Address: 1115 West Lynn St.
Thankfully, not all things that remind us of the way Austin used to be are long gone or slated for destruction. Year's ago the corner drug store was more than merely a place to stop by on the way home from work when one didn't have enough time to go to the grocery store. In many cases the drug store was the grocery store. Sure the selection may not have been as extensive as can be found at a local H.E.B. these days. But then, do we really need 50 different varieties of breakfast cereal? And are we really better served just because the mega store has 100 bottles of Old Spice on the shelf instead of just 5? Nau's is a true neighborhood drug store. There is no huge parking lot. Just a place of business that does not adversely affect the neighborhood, it enhances it. 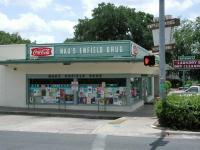 West Austin holds a gem of a drug store that presents its wares in a people friendly scale. The selection is not immense, the quantities are not enormous, but the experience is grand. 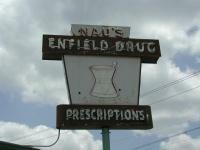 Nau's Pharmacy has been around since 1951 and in some sense it has not changed a whole lot since then. The mix of products and services have changed with the times, but one still gets an odd, but comfortable, feeling of stepping into another era when one enters the store. 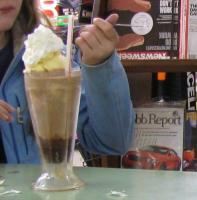 The lunch counter includes a real soda fountain. 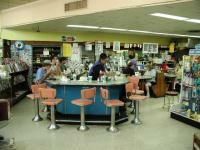 Nau's features perhaps the only traditional lunch counter in the city. Located at the back of the store, the eatery serves up traditional lunch grill fare in a setting right out of Happy Days. 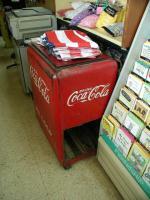 Behind the counter lies a real soda fountain, complete with soda water dispenser. They make pretty good shakes as well. The grill is open for breakfast and lunch Monday through Saturday. The grill is closed on Sundays, though the rest of the store is open. Oh, and since this is Nau's Pharmacy, there is a drug store for filling any prescriptions that you may have. 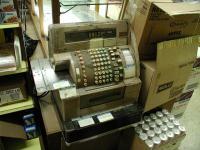 Like most convenience stores, the prices at Nau's may not give H.E.B. a run for their money. But sometimes one trades a bit more money for convenience, either based on location or time. By choosing to stop by Nau's one can add a little nostalgia to the tab at no extra charge. Stopped by for lunch today and actually got to sit at the counter. I had to settle for a booth last time. The vanilla soda was excellent. Photos are from an earlier visit before we could log historic sites. this is a do not miss in Austin. 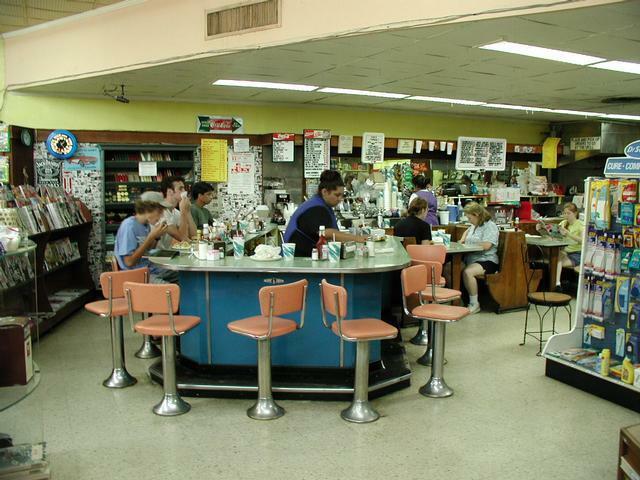 a real throwback to soda fountains. greasy burgers.